Terry's photoshop skills are getting better...which of these hoods aren't really there? 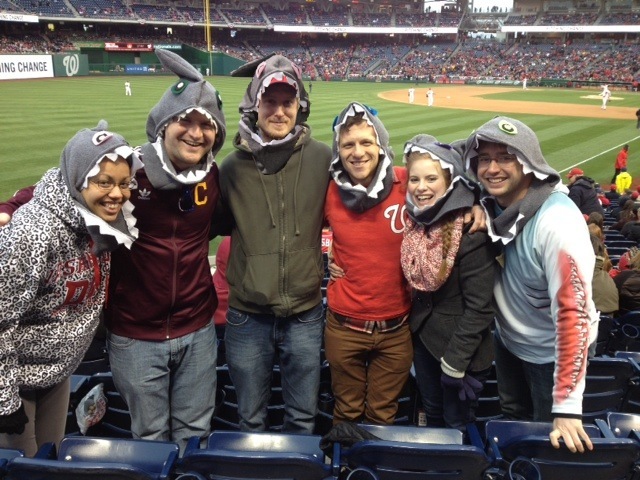 Sharkadina was at the game in force and much like Bryce Harper hitting two home runs in the first game of the year, we were featured on the jumbotron twice. But that's not all! Today also marked our return to the airwaves of Fox Sports Florida. You may remember last August when we were interviewed LIVE on the air by the very talented sideline reporter Allison Williams. 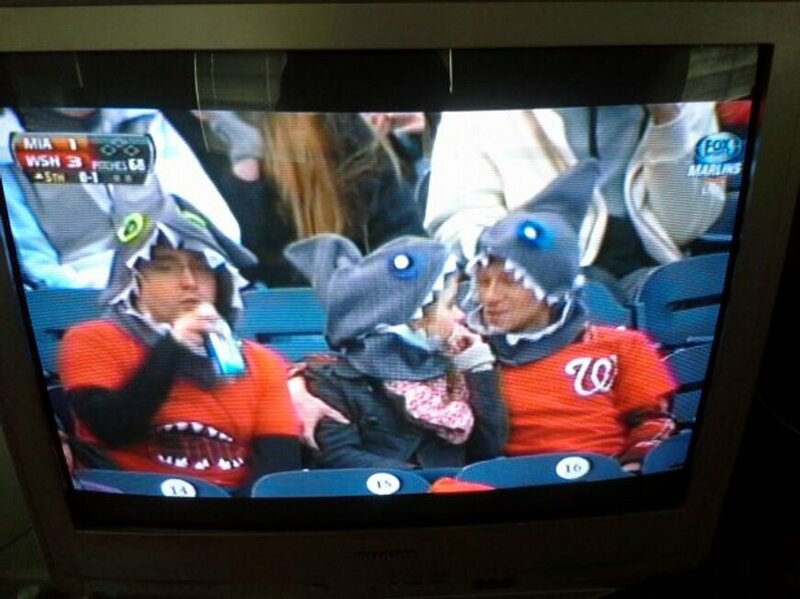 Tyler enjoys a Miller Lite while two other sharks get cozy...IT WAS COLD OUT, OK? In the meantime...we are exactly four months away from the BEST GIVEAWAY EVER. Mark your calendars for August 3rd and join us at The Pfitz in Woodbridge for the Potomac Nationals game and get your very own half Bernadina half shark figurine. Keep checking the blog as we will continue to bring you breaking news regarding The Shark-a-rine.